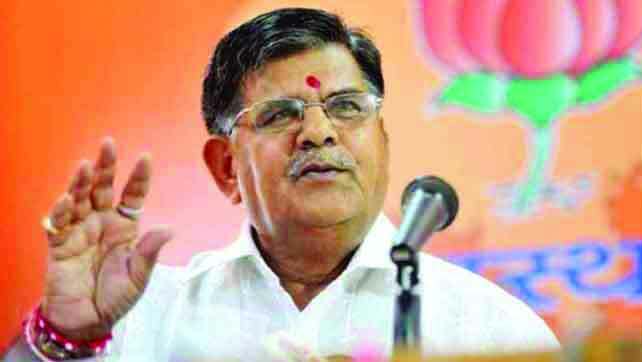 In a clear indication that the BJP is now ready to accommodate leaders in 75-year age category in important positions, the party on Sunday appointed senior legislator Gulab Chand Kataria as the Leader of Opposition in the Rajasthan Assembly. The 74-year-old Kataria was also selected as the leader of the BJP legislature party while seven-time MLA Rajendra Rathore was chosen as his deputy. Former Chief Minister Vasundhara Raje, who has now been completely marginalised in the BJP scheme of things, proposed the name of Kataria as the leader of BJP legislature party, which was seconded by the party MLAs unanimously. “There was only one proposal for the post,” the party’s national general secretary Arun Singh told reporters after the meeting. He said Rathore was chosen as the deputy leader by Kataria. Kataria’s elevation shows that the BJP has decided to downsize Raje, who is not on the best terms with the Central leaders. Though Raje herself proposed the name of Kataria, it’s well known that Kataria has been her nemesis in the Rajasthan politics for a long time. Kataria will also be the Pro-tem Speaker to conduct the first meeting of the newly elected Assembly. He is an eight-time MLA and was Home Minister in the former Vasundhara Raje Government. Kataria was first elected as MLA in 1977, then in 1980. He has won all Assembly elections since 1993, remaining a member of the House. Governor Kalyan Singh will administer him oath of office on Monday. Rathore has earlier served as the Parliamentary Affairs Minister in the State. Union HRD Minister and party’s poll incharge in the State Prakash Javadekar, national spokesperson Sudhanshu Trivedi and party’s State president Madan Lal Saini were present in the meeting.